Besides the remarkable, vibrant purple blooms of Tibouchina urvilleana, this other species of Tibouchina captivates us plenty too! 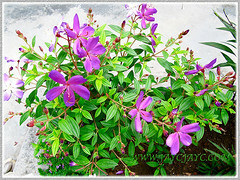 We were delightfully happy with this addition of Tibouchina mutabilis to our garden collection, in late August 2013. 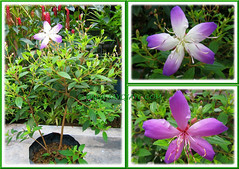 This gorgeous dwarf hybrid cost us only RM25, relatively cheap as the lovely bush had numerous buds waiting to explode. 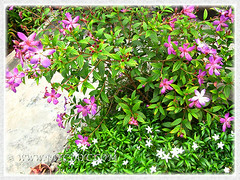 We’re wondering whether our compact hybrid could be Tibouchina mutabilis ‘Imagine’? In fact, we were pleasantly surprised when the buds burst forth with varying colours! Simply remarkable and enchanting to see all the gorgeous combination of colours on the bush at the same time. It is somewhat similar to the Brunfelsia pauciflora bush, nicknamed as Yesterday-today-tomorrow. 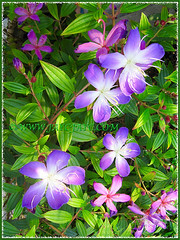 Botanical Name: Tibouchina mutabilis (Vell.) [Syn. : Melastoma mutabilis, Lasiandra mutabilis]. Common Name: Manaca, Brazilian Sendudok in Malay. 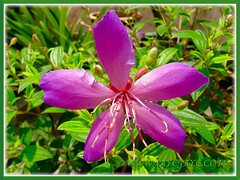 Etymology: The genus name, Tibouchina was given by French botanist Jean Baptiste Aublet. It is derived from the indigenous language of Guiana. The species mutabilis is a Latin word, meaning changeable or tendency to change, probably referring to the changeable colouration of its flowers. Origin: Native to Brazil, Esparto Santo, Rio de Janeiro and Sao Paulo in Southern America. However, many hybrids, cultivars and varieties have emerged by enthusiastic breeders, especially in Australia. Plant type: A perennial evergreen flowering bush or tree. 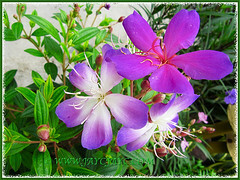 Features: Tibouchina mutabilis is a enchanting species of the genus, Tibouchina that consists of about 350 species of flowering trees and shrubs. An evergreen perennial shrub or tree with an open crown and a moderate growth rate. It can reach between 1.5 to 12 m tall, depending on whether it’s a compact and dwarfish hybrid or a native plant in the wild. Foliage is dense. The simple leaves, arranged opposite along the well-branched brown stems are beautifully coloured in bright green and deeply veined to provide a wonderful contrast to its colourful flowers. 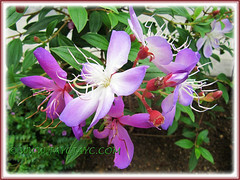 An everblooming plant that produces striking, five-petaled flowers in a brilliant riot of colours and are held on terminal panicles above the foliage. These large saucer-shaped flowers in white and lavender, each measuring 6-8 cm across has a cluster of protruding white stamens in the centre that curve upwards near the tip. As these flowers age to a purplish-violet colour (or is it rose-purple as I’m somewhat colour-blind? ), the stamens also gradually darken to a reddish-brown tone. These eventually are followed by brownish seedpods containing tiny seeds. 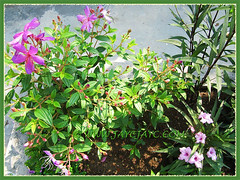 Culture (Care): Tibouchina mutabilis grows easily with minimum care. Light: Full sun to semi-shade, and heat tolerant. Moisture: Loves lots of water and high humidity, so water regularly especially during dry seasons but avoid soggy conditions. Soil: Grow in organic-enriched and well drained acidic soils. However, it’s adaptable to most garden soils such as sandy clay loam soils. 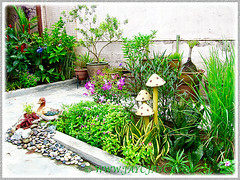 Others: It needs regular pruning to train into a beautiful shrub/tree or to curb its height. Feed once monthly with a balanced slow-release fertiliser. Generally free from serious pests and diseases. For subtropical and temperate regions: Hardiness: USDA Zone 10-11. Protect from heavy frosts with a thick layer of mulch over their fibrous root system. Water sparingly during the rest period but abundantly during the active growth period. Flowering commences in spring to fall. Plant cultivars that suit your climate to ensure success. Propagation: Best by tip or softwood cuttings that root easily in moist soil with no rooting hormone needed. Can be propagated by seed germination. 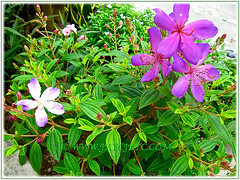 Usage: Tibouchina mutabilis will be an excellent ornamental tree or shrub to provide a brilliant splash of colour to your garden. Plant it as a showy landscape plant, or train it as a specimen to add interest and be a conversation-piece plant for your garden. Ideal to be grown in decorative pots, large containers or raised planters. Fabulous to use it in shrub borders, mixed shrubberies or as a tall hedge and screen. Plants Management Australia, on Terry Keogh successful breeding of Tibouchina hybrids and cultivars. A must-read.